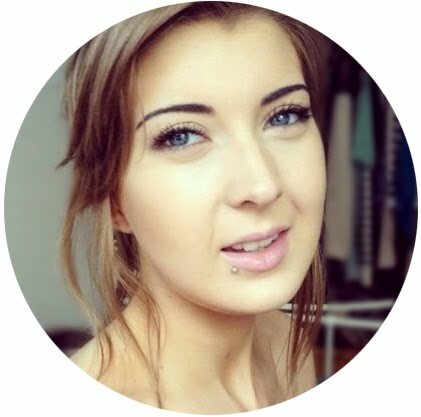 There are many ways to remove a stuck ring, but forget what you've read on the internet about dental floss and elastic bands, this tried and true method will get that ring off easy peasy! Whether you've tried on an old favourite that no longer fits, or your fingers have swelled in the summer heat (wishful thinking! ), there's only three things you'll need- ice, lubrication and a bit of patience. First, soak the hand in a bowl of iced water for about 5 minutes, or as long as you can stand it. The coldness will reduce some of the swelling around the ring and slightly numb the finger, making the process quicker and easier. After being iced, the finger needs lots of lubrication to reduce friction and allow the ring to slide on the skin. 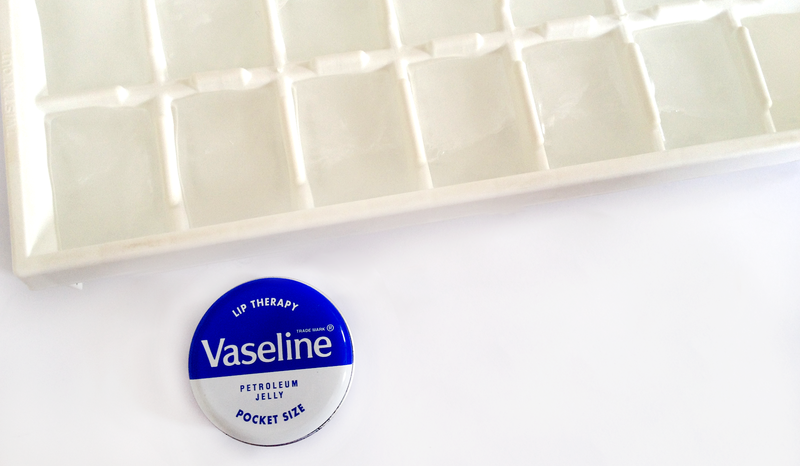 There are many things you can use- good old Vaseline is a solid option, cooking oil or olive oil will also work well, or in a pinch you can try a good squeeze of body moisturiser. Try to shimmy the ring on the finger so that the lubricant reaches underneath the band, this will move us on to the next step. Once lubricated, the ring should move more easily on the finger. Unless you're working with a plain band, slowly spin the ring so that the top with any design or gems is now on the palm side. 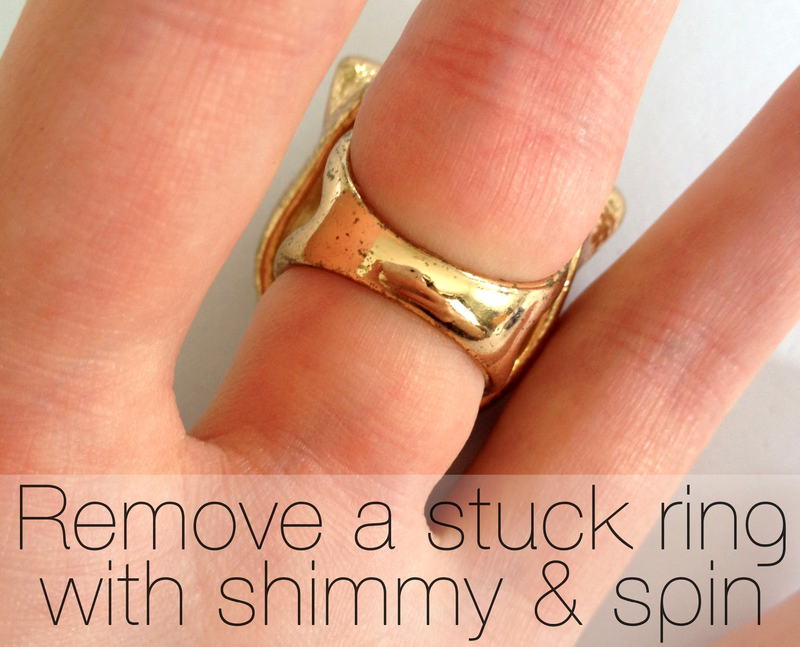 Shimmy the ring slowly from side to side and upwards until you reach the first finger joint. At this point push upwards on the ring from the palm side as you spin it round again, allowing the ring to slide sideways over the joint inside of pushing the skin toward the top of the finger and making it bunch. After this first joint, the rest of the finger should be easy and will just require a little more side to side shimmying until you reach the top. Ta da, your finger is free! Do you have any other sure fire methods to remove a stuck ring in a pinch?